Access All Areas members have a fantastic collection of illustration resources to download this week, courtesy of the talented Lisa Glanz. 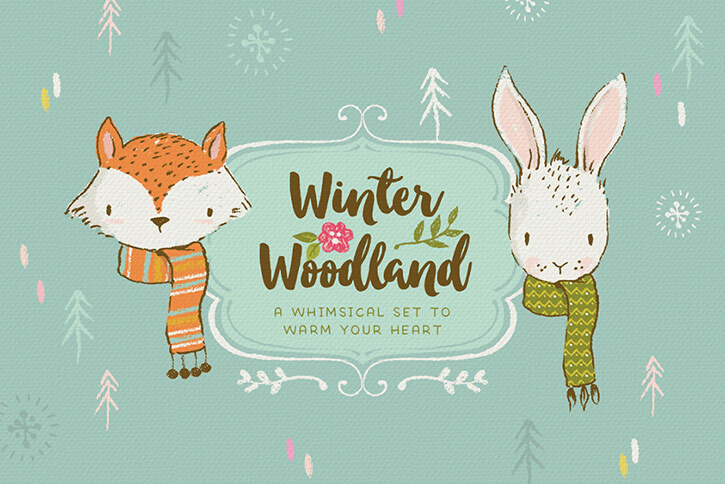 The Winter Woodland kit contains a whimsical set of cute animal character illustrations, along with a range of accompanying graphics and patterns. 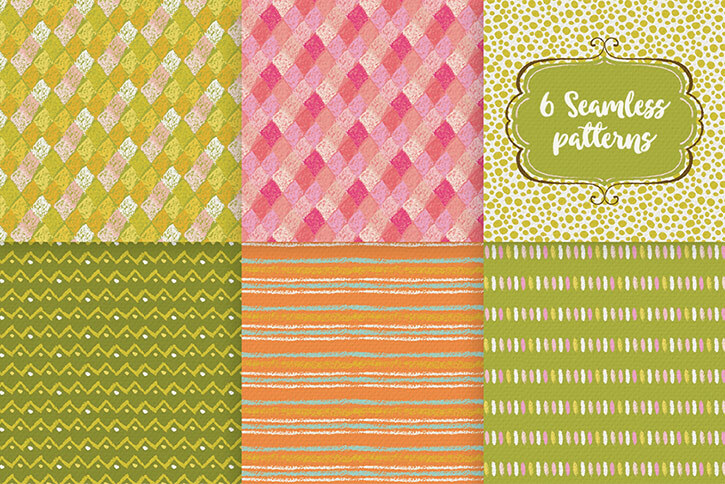 Use them to add charm to your designs with a quirky hand drawn theme. Each of the woodland animal drawings come with and without their scarves, giving you more flexibility in the projects you choose to use them in. Lisa Glanz is an illustrator with a passion for creating resources to help bring joy and magic to your creative projects. Her goal is to add value to your creative process by producing work you find useful and love using. A self professed geek when it comes to detail, all her graphic goods are made with the utmost care and pride to help you design great work. Inspired by all things whimsical, which is evident in her work, she has several online shops that specialise in selling digital resources to both professional and amateur creatives. The Winter Woodland kit contains 6 woodland animal illustrations, with and without their scarves; 1 decorative frame; 6 seamless patterns with a colourful fabric style design; and 7 decorative bits and bobs to scatter around your artwork. All assets come as vector AI files for Adobe Illustrator versions CS3 and newer, as well as raster PNG files for all other design applications. Lisa’s illustrations are so unique! I love this set! Thank you, Chris and Lisa!